The popular occasion of thanksgiving is one that you normally spend with your near and dear ones. This holiday is reserved for the ones you love – your friends and family. But what do you do when they are in a different city altogether? You can send them postcards! 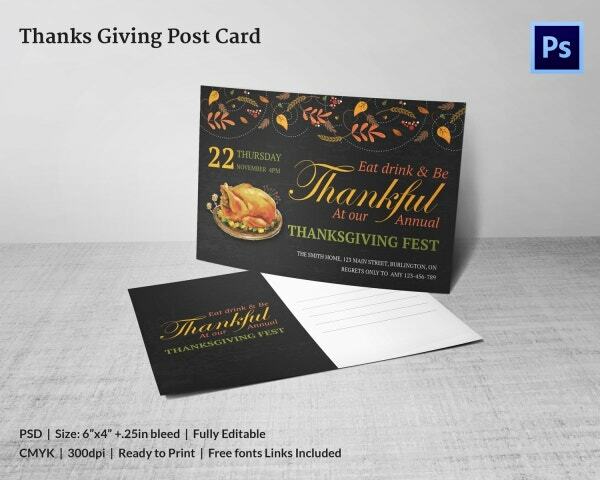 Also, nowadays free thanksgiving templates are being used to send out invitations. 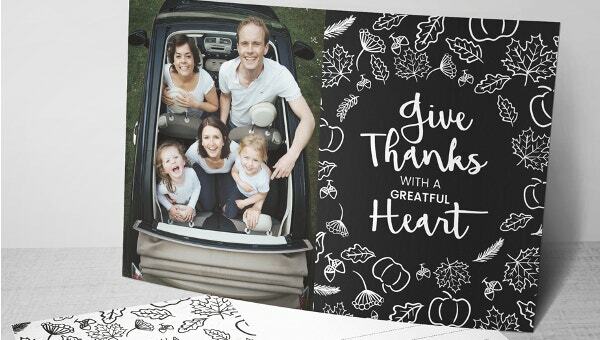 If that is what you are looking for, then you can take a look at these thanksgiving postcard templates. 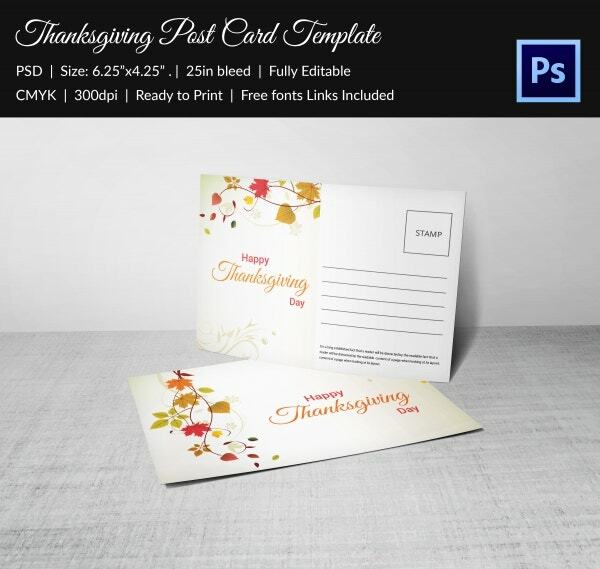 This thanksgiving postcard template comes with a beautiful red background. It comes in PSD format with CMYK color mode. It also comes in a print-ready format in a neat file. 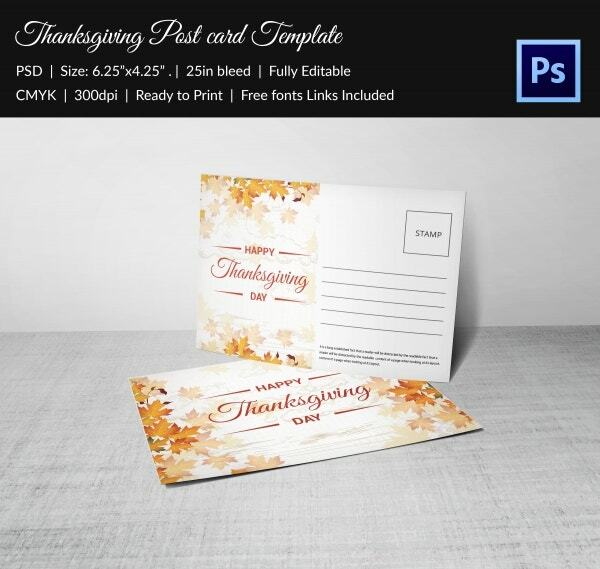 This thanksgiving postcard template comes in a neat PSD format that is ready for print. Plus, it comes with CMYK color mode and a fairly high resolution of 300 dpi. It comes in a standard size with allowance for bleed. 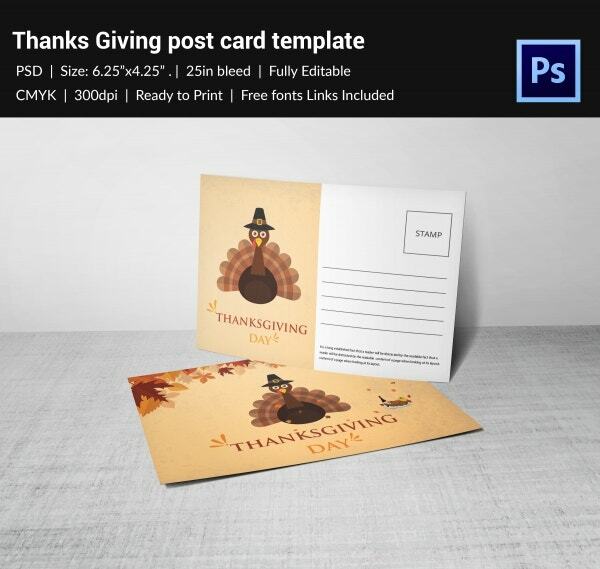 This thanksgiving postcard template here comes with easy customization options. You will be able to edit and add your own details or even remove details that you feel are irrelevant. The templates that you see here look just like professional postcards. They are pretty versatile in nature as well. 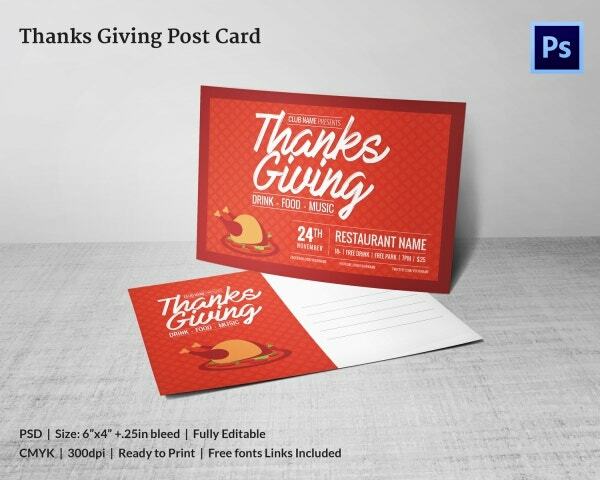 You can even use them as invitations to your grand thanksgiving feast. The templates here are 100 % editable and customizable. Each element that you see on the templates is subject to customization. That makes them exceptionally easy to use as well. The templates come in easy to use formats and are all set for printing. You can also see Thanksgiving Flyers. 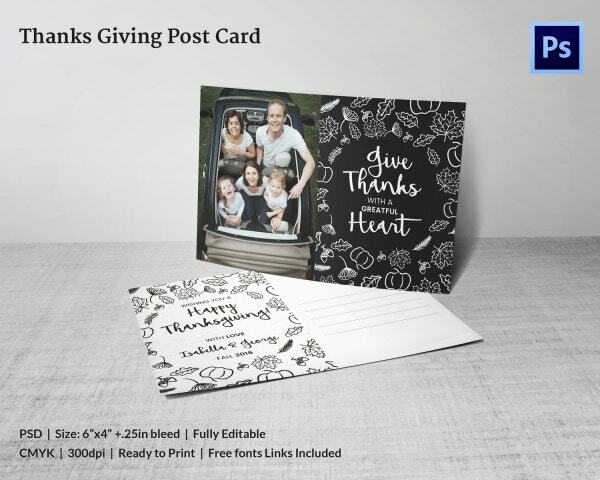 Now that you know about the myriad benefits of using the thanksgiving postcards, what are you waiting for? Using these templates will save you a whole lot of time since you wouldn’t have to ponder about the design or the format of them. Everything has already been done for you!